Under the trademark DURASTICK we produce specially designed sticks, synthetic beaters of all kinds and surdo beaters for sambistas, maracatuzeiros and aficionados of Samba Reggae. We put particular importance on the suitable sizes and shapes for the respective music style as well as great durability and a good price-performance ratio. DURASTICK offers surdo beaters in many colors, with different degrees of hardness and with aluminium or wooden grips. 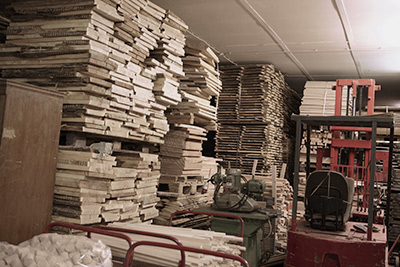 There are elastic repinique sticks in many different lengths and a wide range sortiment of caixa and repinique sticks from different kinds of wood. Tamborim beaters are our speciality! A big variety of different models makes it easy for every sambista to find the perfect beater for his individual playing style. On the caixa and the repinique many of the played beats are rimshots. 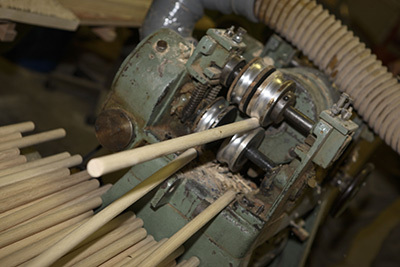 In order to produce sticks for these extreme demands, DURASTICKS are mainly made of American Hickory. This type of wood is extraordinary resistant and does not frazzle a lot. For those who prefer heavier sticks, we offer sticks made of Hornbeam. This wood is also especially hard and has therefore a very defined and light sound when used for playing rimshots. Due to its hard surface, it wears out quicker. Sambistas sometimes have very particular preferences refering to their sticks. The DURASTICK assortment Durastick-Sortiment is constantly being developed and extended in order to accomplish all wishes and needs.